Innovate DLG-1: двойной ШДК Контроллер с двойным дисплеем и двумя сенсорами BOSCH 4.9. - Monitor left and right exhaust banks on one single gauge! 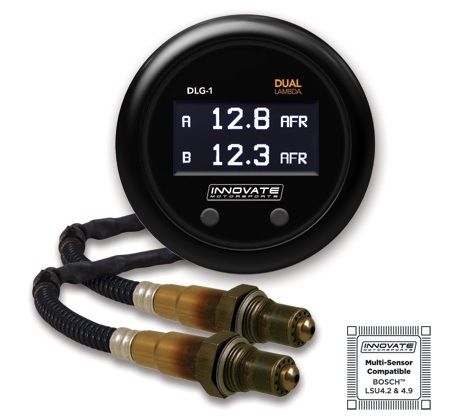 - Patented DirectDigital™ wideband sensor control, 100% digital wideband air/fuel ratio technology! - Datalog both O2 channels using powerful LogWorks software on your PC.